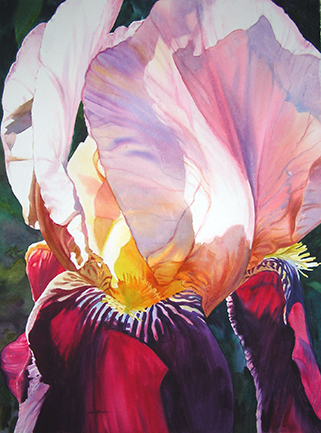 Ann Pember’s watercolor paintings have been selected for inclusion in more than 280 national juried exhibitions, including those of the American Watercolor Society, Rocky Mountain National, Transparent Watercolor Society, Watercolor USA, Allied Artists of America and National Association of Women Artists, winning her over 80 awards. Pember’s book, Painting Close-Focus Flowers in Watercolor, was published in 2000 by North Light Books and is nearly sold out. Her work has been featured in more than 40 other books and publications, including 6 of the popular “Splash” book series published by North Light Books. 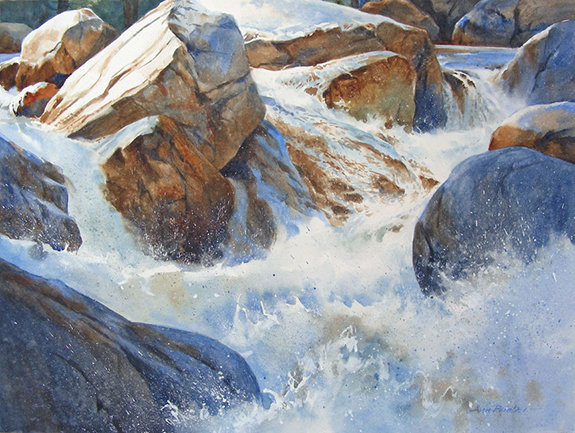 She is a signature member of 22 national and regional art societies, including the American Watercolor Society. She teaches workshops and has been an invited juror for numerous national exhibitions. Her 2 instructional videos: Vibrant orchid and Painting in the Flow of Watercolor, were produced by Creative Catalyst Productions. Her series of digital books, available on CD, or as a download, include; Discover Your Inner Inspiration Make Flower Paintings Glow In Watercolor, Make Dynamic Paintings in Watercolor and The Magic of Painting on Smooth Surfaces in Watercolor.